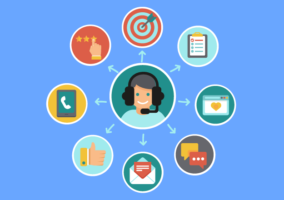 Our panel of experts share their thoughts on what a contact centre advisor needs to know in order to provide the best possible customer service. With self-service technologies primed to replace simpler and more transactional tasks, customers expect their advisors to be capable of solving more complex issues and expressing higher levels of empathy. Advisors must put themselves in the customer’s shoes and consider the individual’s emotional state in order to respond with empathy, even if they are not able to solve the problem right away. It can also be good practice for organisations to measure empathy at scale by using text analytics to better guide advisors who may be struggling to establish an emotional connection with their customers. Customers like to know that they have been fully understood, to feel as if the “weight” of their issue has been lifted from them. Similarly, to ensure a great end to the conversation, the advisor should be eloquent, polite and clear on the next steps. Advisors need to know how they are going to be scored in order to reduce stress and allow them to take control of their own performance. If you do manual quality scoring, invite a couple of advisors at a time into calibration meetings so they can see for themselves how calls are being scored – removing any feelings of a perceived bias. Also, you could try to feedback scorecards to the advisor with the call recording, so they can see why they were scored as they were. Along with the scorecards, writing a couple of quick notes that suggest what the agent did really well is a nice touch to boost morale. Of course these steps will not need to be taken if you employ an analytics tool that can analyse the call without bias, while automatically pinpointing areas in which the advisor can improve. Many call centre advisors are likely to encounter vulnerable customers who need special consideration when interacting with them. Customers can be considered vulnerable for any number of reasons, including health considerations, old age and infirmity, so organisations will likely have a lengthy vulnerable customer policy with guidelines for what to do in a number of scenarios. While familiarising advisors with these guidelines is a task in itself, but we first need to teach advisors how to identify potentially vulnerable customers. To do this, advisors will need to be taught how to look for signs such as the customer constantly repeating themselves. But you can also use real-time speech analytics to pick up on these indicators of vulnerability and to send alerts to the advisor. No contact centre wants advisors to believe knowledge is power but keep that knowledge to themselves. Today’s advisors should be team players. 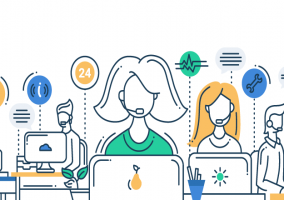 Ask the team what they would think about taking part in regular group discussions and an online forum to exchange ideas and share learning for the benefit of the whole team. However, while it is great to create a learning culture, remember to moderate knowledge-sharing platforms, because advisors might share tips that make their jobs easier but that might go against the best interests of your customers. 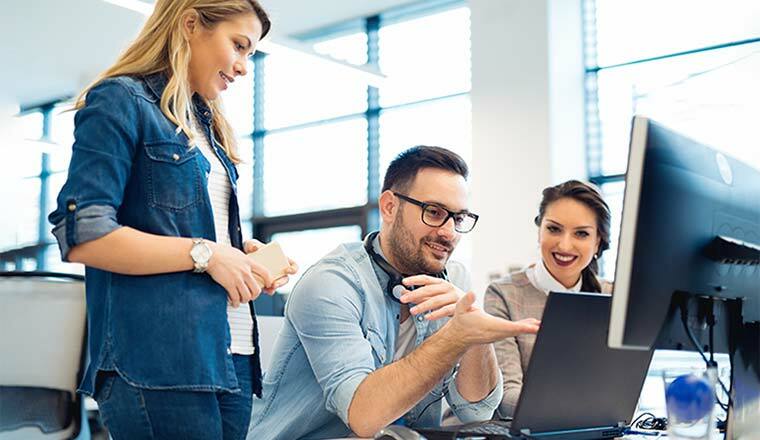 One of the most important things every contact centre advisor needs to know is how to build emotional connections with customers. The 2018 Temkin Experience Rankings show that just 7% of customers say they felt good about their latest contact centre interaction, and almost half believe organisations did a poor or very poor job at meeting their emotional needs. So, those organisations that tackle this issue now will have an important advantage over their competitors. Building rapport with your customers is vital to creating positive emotional connections. So the first thing you need to consider is the type and style of interaction you are encouraging by reviewing your scripting and workflows. Your scripts should ideally be visual (including diagrams like flow charts), written in spoken English and be well tested/role-played to see if they complement an emotive conversation. As routine questions get handled by self-service, today’s advisors will only get more complex questions to answer and problems to resolve. With this being the case, it is valuable that advisors can quickly delve in and out of the knowledge management system – for example – to quickly find the resolution to a query and improve the level of service provided. Smart desktops will offer advisors a helping hand here by hiding any architectural complexities, offering a single log-in to all systems and using an intuitive user interface. Each of these things will make the advisor’s experience much easier and “pain-free”. If they are to create relationships and deliver customer service that stands out, advisors must be prepared and comfortable to stray from the script. After all, customers expect tailored interactions that resolve their issues quickly, and scripts alone don’t have the depth that this requires. So advisors need to be experts in their field if they are to be memorable for the right reasons by delighting customers with a high level of service. Good soft skills, which are not embedded in the script, will help to achieve great service, and these skills, as well as knowledge, should be trained, with advisors learning from supervisors and other internal experts to use their initiative and expertise efficiently. With this in mind, an ongoing investment in training is required, as well as other investments in technologies such as a knowledge management system or screen-pop, which can be helpful so that advisors can quickly gather all the information that they need to solve the query quickly. Advisors should be aware of one of the most important aspects of their work: the ability to empathise with a customer. After all, advisor authenticity goes a long way in making customers feel good. And advisors feel good when they are empowered to be authentic and go off-script and have the ability to self-score their own successes and opportunities for improvement. Recognising the need to design shifts that suit advisors’ lifestyles, contact centres are constantly looking for ways to add flexibility to their shift patterns. For their own morale, advisors need to know all the options open to them. So, make sure advisors know exactly where to go if they want to swap shifts and also ensure that they know the rules of any creative staffing pattern, such as an annualised hours scheme. Additionally, if the advisor is lucky enough to work for a contact centre that has clever scheduling and planning solutions, they will be expected to know how to use this technology to choose the types of shifts they want to work. According to 2017 Call Centre Helper research, over a third of contact centre advisors (36.2%) are now given a choice as to which style of headset they can use. Some advisors will find that their headset doesn’t meet their needs in terms of functionality or comfort. So, if you – as the advisor – are in this lucky 36.2%, you need to know how to select the best headset for you. This will likely improve your productivity and satisfaction. If you’re really lucky, you can choose a specific style that works best for you, whether that’s over-the-ear, behind-the-head or over-the-head. From my experience as an advisor, I know customers can become upset and frustrated and feel let down or misled, but the key to this is paying attention and listening. If they are wrong or become argumentative (and even use the odd swear word), listen. Wait. Adapt. Empathise. Get on their wavelength. By doing this, you’ll deliver better customer experience and find greater job satisfaction. If your contact centre uses technology such as voice biometrics or robotic process automation (RPA), you can create a tailored service for customers, while removing mundane tasks from employees. Due to the changing nature of the type of calls advisors handle, it can be important for the contact centre team to have the personal qualities of compassion, empathy and professionalism before they arrive in the contact centre. While these are innate qualities, staff will always benefit from human coaching from experienced advisors, but technology can also help. Technology such as modern headsets that deliver a clear audio and noise cancellation to ensure that phone conversations are repetition-free, will help to improve an advisor’s conversational performance.